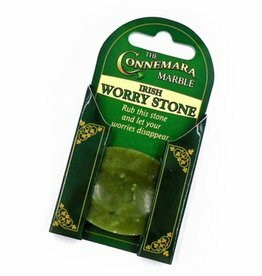 Rub away your worries with this stone of genuine green Connemara marble. Just the right size for pocket or purse. Measures 2 x 1 1/2"
Colors may varry, as there are over 40,000 different shade of Connemara marble. Perfect for when you are on the go! 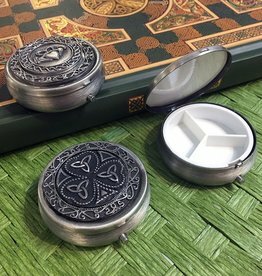 Our Mullingar Pewter Pill Box is available in your choice of various Celtic styles! Featuring a plastic dividing insert, the closed box measures 1.75”.